Hopes in the West that Iran would become more moderate after the 2015 nuclear deal (the Joint Comprehensive Plan of Action) between it and world powers in 2015 have gradually been replaced with fears about Iran’s worrying behavior. While Tehran is trying to be seen sticking to the nuclear deal, it limits the activities of the inspectors, continues nuclear research and development and devotes efforts to its long-range missile program. As such, Iranian involvement in the region proves its hegemonic aspirations, based on Persian imperialistic interests, not to mention jihadist impulses. It already controls four Arab capitals: Baghdad, Beirut, Damascus and Sanaa. The Shiite militias and its envoys fight in Iraq, Syria and Yemen through ethnic cleansing. Iran is on the brink of securing a Shiite corridor from the Persian Gulf to the Mediterranean Sea. Israel is trying to take advantage of both global fears and U.S. President Donald Trump’s lack of commitment to the nuclear deal, which he displays to bring about either its cancellation or the start of new negotiations to obtain a better deal by reimplementing economic sanctions. But these goals are very hard to reach and will do nothing to help prevent Iran’s going nuclear. The international community, including the U.S., has no desire to clash with Iran. Most of the world prefers to wait until the deal expires in another decade, without considering what will happen the day after. Despite this, Iran, with a history that goes back thousands of years, sees the deal as only a short delay before reaching its aspirations. By understanding that the West not willing to take military options, Iran is imitating what happened with North Korea. Israel cannot trust the international community to prevent Iran from going nuclear. A unilateral breaking of the deal will only speed up the Iranian nuclear program. Even if the attempts to convince Iran to open new negotiations on this deal succeed, its bargaining skills would stretch negotiations for years, giving it more time to implement its nuclear program. Bringing back economic sanctions also involves years of diplomatic struggle. Moreover, the effect of sanctions is limited. Previous sanctions brought Iran back to the negotiation table but did not change its policy. We cannot depend on the claim that because a better deal could have been struck in 2015, reopening negotiations would still bring the West a better deal. The deal, because of all the holes in it, was the only one the Iranians were willing to sign on once it became clear that the U.S. under former President Barack Obama was unwilling to implement force. Despite the anti-Iranian rhetoric, it seems that the U.S. under Trump lacks what is necessary to prevent Iran from regional hegemony. The truth of the matter is U.S. policy in the Middle East suits Iran. Trump continues his obsession with fighting Islamic State (an anti-Iranian force) and he is a partner to Russian and Iranian schemes in Syria. The U.S. prefers an undivided Iraq, which is an Iranian satellite state, over supporting a Kurdish state, which Iran opposes. The U.S. also did not stand firmly on Saudi Arabia’s side in attempts to isolate Qatar, which is trying to woo Iran. Nothing can convince Iran to give up its dreams of becoming a nuclear power, and only the use of force can prevent it from realizing them. Israel stands alone on this matter. No one is willing to deal with an Iran that is going nuclear, and accordingly, Israel must be ready to act against critical points in Iran’s nuclear infrastructure. This goal will not be easily obtained, but it can be done with determination and creativity. A successful offensive against Iran’s nuclear infrastructure will change the balance of regional power and reverse Iran’s progress. Most countries will be happy that Israel is doing the dirty work for them, and if the Israeli strikes on the Syrian and Iraqi nuclear reactors are any indication, they will not make problems for Israel. 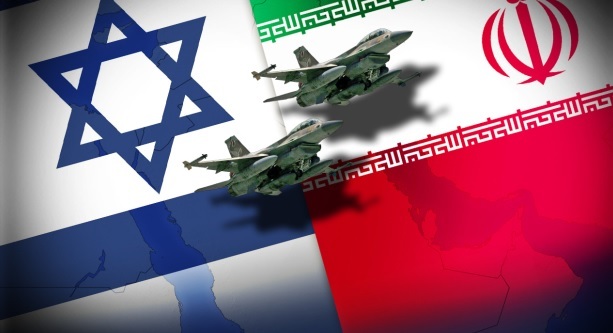 That being said, Iran has options to exact a toll on Israel, but this cost will not be heavier than bearing the brunt of an Iranian nuclear bomb. Professor Efraim Inbar is president of the Jerusalem Institute for Strategic Studies, professor emeritus at Bar-Ilan University, founding director of the Begin-Sadat Center for Strategic Studies and a Shillman-Ginsburg fellow at the Middle East Forum.